is a non-political international organization dedicated to the continuing development and evolution of TaeKwon-Do. Students, Instructors and Masters world-wide retain complete control over their operations while receiving quality resources, support and international recognition. Please click here to learn more about Unified TaeKwon-Do International. The Unified TaeKwon-Do International curriculum is among the best in the world. Through training, the student will learn practical self-defence techniques, traditional movements, discipline, and how to mentally approach a self-defence situation, all while developing personal fitness, self confidence, and interpersonal relationships. Students develop these skills through practicing predetermined sequences of moves, both with and without a partner (forms and step-sparring respectively), sparring, self-defence techniques (both mandatory techniques and self-created), and vigorous training of fundamental techniques. At the forefront of all training is safety. Students will learn how to properly practice their techniques and hone their skills in a safe manner, while strict guidelines ensure the safety of all practitioners. Advanced techniques are built upon the mastery of basic ones, following the best practices of modern education. Students are trained to consider not only their own safety, but the safety of everyone they train with and around. In UTI, we strive to build our students into not only talented martial artists, but into respectful, level-headed people both in and out of the training space. As such, we have adopted our tenets of TaeKwon-Do; a list of qualities that we promote and encourage all students and instructors alike to strive towards. Honour – “adhering to a strict code of values.” Honour encompasses notions of respect, fairness, and acceptance of others. Students are encouraged to respect themselves and others around them, treating everyone fairly and justly. Discipline – “to obey rules or code of behaviour.” TaeKwon-Do, like all martial arts, requires a level of discipline and self-control. Students are expected to adhere to the rules of the class and Unified TaeKwon-Do International as well as exhibit self-control when training with other students. Humility – “a modest view of one’s importance.” Students in Unified TaeKwon-Do are encouraged to remain modest about their abilities. They are constantly reminded that training is a never-ending process, and there is always room to improve. This is exemplified by instructors often practicing techniques alongside students, demonstrating that even experienced martial artists must continue to hone their abilities with even the most basic of movements. Patience – “one’s capacity to accept or tolerate delay, trouble, or suffering without getting upset.” Unified TaeKwon-Do International encourages students to exercise patience when training. Students may be taught a single technique or a short sequence of movements and be expected to practice it many times until the student is ready to move on with their training. Charity – “to voluntarily give help to those in need.” Students are expected to be giving with their abilities and time. Students of higher rank may be expected to sacrifice their own training time to help lower ranks work on their techniques or to act as a demonstration partner for an instructor. Students should exhibit willingness to help in these cases without complaint. Wisdom – “the ability to know the difference between right and wrong.” Students should have a level of personal discernment in order to identify the right course of action in a situation. This is taught through choosing the appropriate response to a threat or attack, ensuring the method of self-defence matches the severity and force of the attack. Perseverance – “performing a task despite the inherent difficulty or delay in achieving it.” Students are encouraged to push through any hardships they may face in their training, whether it be their own abilities, physical limitations, or a particular technique they are struggling with. After training in TaeKwon-Do for only two years, Scott Kopperud gave up hockey to pursue the dream of achieving his Black-Belt, which he did two years later. Since that time, many years ago, he has gone on to become a Canadian National TaeKwon-Do Champion three times in both Forms and Free-Fighting, and twice in Board-Breaking. 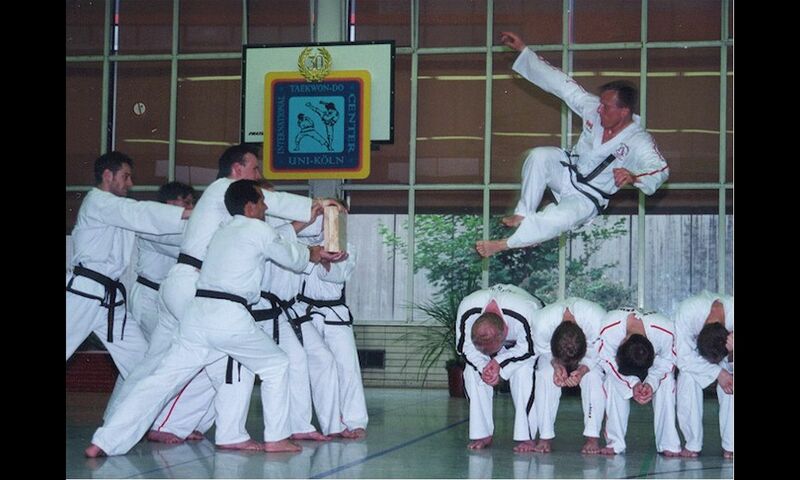 Kopperud is certified in both the “world” and “international” styles of TaeKwon-Do as a Master Instructor. With over five years experience as a high school teacher in the areas of physical education, English and special needs education, Kopperud has dedicated most of his time for nearly four decades to developing and refining the “Kopperud” system of TaeKwon-Do instruction. Dropping all other professional activities in 1991, he has dedicated his time solely to TaeKwon-Do, the expansion of his Canadian schools and the development of Unified TaeKwon-Do International. Kopperud travels often, giving seminars and providing quality instruction and support to TaeKwon-Do instructors world wide. Master Kopperud was examined and promoted to the rank of 7th Dan Black-Belt many years ago in the United States by a panel of 12 TaeKwon-Do and Martial Arts Masters. This examination was witnessed and endorsed by over one hundred TaeKwon-Do Black-Belts. Kopperud was the youngest North American to achieve this rank and is the first to do so in both the “international” and “world” styles. On June 4, 1999 in Cologne, Germany, Scott L. Kopperud was promoted to the rank of 8th Dan Black-Belt Grand Master by an International Panel of TaeKwon-Do Experts, Grand Masters, Masters, Chief Instructors and Instructors. Grand Master Kopperud is the youngest TaeKwon-Do practitioner to achieve this rank which was awarded to him for dedication to the development and continuing evolution of TaeKwon-Do as well as his superior physical and technical expertise in the execution of the art. GMK demonstrated his skill, passion and soul before being awarded his 9th Degree Black-Belt. Distinguished guests, International Representatives, Instructors, Black-Belts, Students and enthusiastic fans observed dramatic exhibitions while celebrating the completion of the Unified TaeKwon-Do Curriculum as “OMEGA”, UTI’s final form, was revealed. Finally, Grand Master Kopperud’s 9th Dan Black-Belt was presented by National, State and Provincial representatives and tightened by Instructors, Black-Belts, Students, close friends and Family. Grand Master Kopperud, his wife Carol Ann and their four children, Christine (3rd Dan Black-Belt), Rachel (2nd Dan Black-Belt), David (4th Dan Black Belt) and Matthew (3rd Dan Black Belt), have been in Saskatoon since August 1991 when he opened his first Saskatchewan school. His Saskatoon school has grown from 22 to over 300 members. With eight years of post-secondary education in Recreation Administration, Education and Theology, Kopperud, with a genuine love for what he does, continues to develop and refine his teaching skills in the ever evolving Martial Art of TaeKwon-Do. 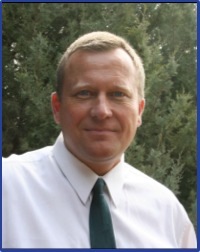 In December of 2015 Grand Master Kopperud (aka: Pastor Scott) accepted the Call of God and Invitation of his Church to serve as their Senior Pastor, a Ministry he continues to this day.